What happens to broken bones? 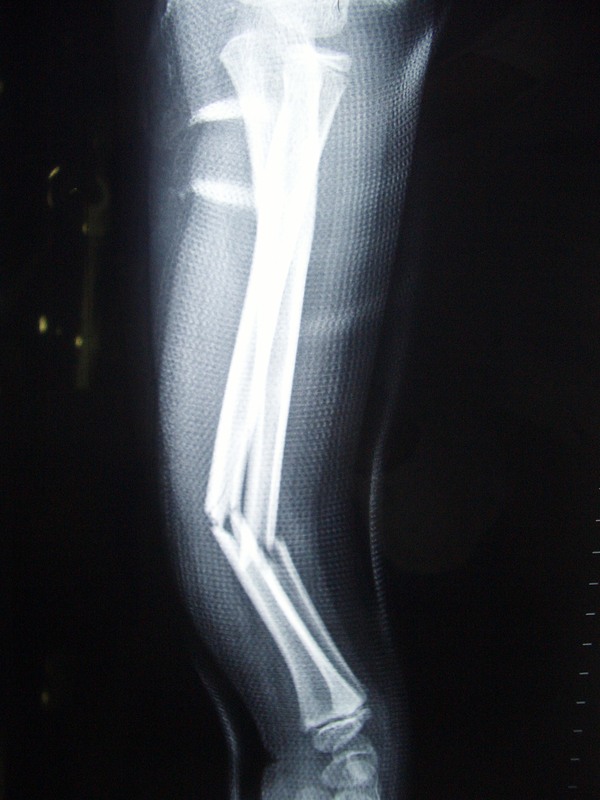 Accidents such as falling off a bicycle can break bones. But bones do not stay broken forever. Instead, they slowly heal and get strong again. A broken bone usually means a trip to orthopaedic clinic. Here, doctor will examine the bone. An X-ray will show them exactly how and where it is broken. Then he can decide what treatment it needs. Most broken bones need to be kept still. This is so that the two broken ends can heal back together. Often a simple plaster cast can do this. It is taken off after a few weeks, when the bones have healed. More serious breaks may need metal pins to hold the bones together. Bones are strong enough to stand most ordinary activities, but a very strong force or an awkward bend can snap them. A broken bone is usually the result of an accident, such as falling off a bicycle or out of a tree. Bones can break in different ways. Some breaks are more serious and take longer to heal then others. Most people have very few broken bones during their lifetime. 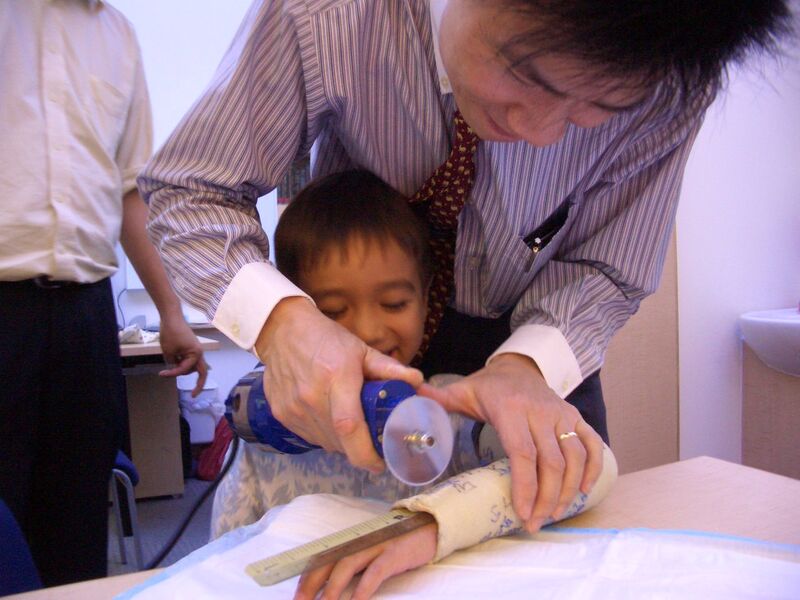 However, some children are born with an illness called brittle bone disease. Their bones can break easily. A condition called osteoporosis can also make bones more fragile and likely to break. Osteoporosis is most common in elderly people, especially women. How do I know if the bone is broken? Sometimes it is obvious that a bone has broken after an accident. At other times, it can be less easy to tell. Did you hear a crack or a snap during the accident? Is the area round the injury swollen or bruised? Does it hurt to put weight on the injury, or to touch it or move it? Does the injured part look a funny shape? Can you see bone poking through the skin? If the answer is “yes” to most of these, there is a good chance the bone is broken. It can be a big shock to break a bone, and people often feel dizzy, sick, and upset for a while. However, they soon get over the shock and start to feel better. Remember, too, that an injury can hurt an awful lot without any bones being broken! Luckily, a bone does not stay broken forever. Bones can heal and mend themselves. Most broken bones need a trip to the hospital. 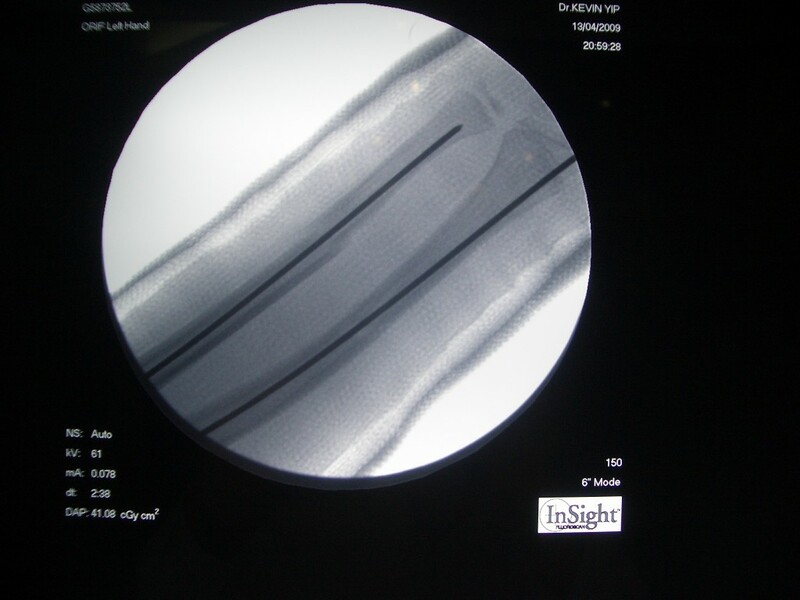 An X-ray will show doctors exactly where the bone is broken, and what type of break it is. If it is a simple break, a plaster cast or fibreglass cast may be the only treatment needed. This holds the pieces of bone in place while they heal. Complicated breaks may need an operation. Sometimes steel pins or screws are inserted. These add strength around the break and keep the ends of the bones in place. The bone will slowly begin to heal. Blood vessels grow into the area around the break. A few days after this, a substance called collagen forms around the break. Slowly this turns into tough cartilage that forms a bridge between the pieces of bone. A hard, bony shell forms. It is slowly replaced with hard compact bone. Eventually, the bone is fully healed. When a bone has healed, your doctor will remove the cast. Your bone will still be weak so you cannot start playing sport or doing other activities straight away. Your doctor may suggest exercises to help your bone and muscles become strong again. Do not ignore a fracture as it may cause complication if the two parts of a broken bone is displaced. Call Now (65) 64712674 to make an appointment to check your bones today.